Here is Sonya’s April challenge for you! A fish is swimming against the current. 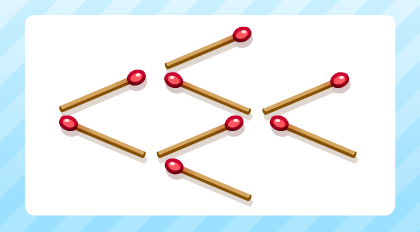 Move only 3 of the 8 matches to make it swim in the opposite direction. Did you figure out which matches you can move? No? Click here to get the solution. Give Sonya’s other challenges a try!